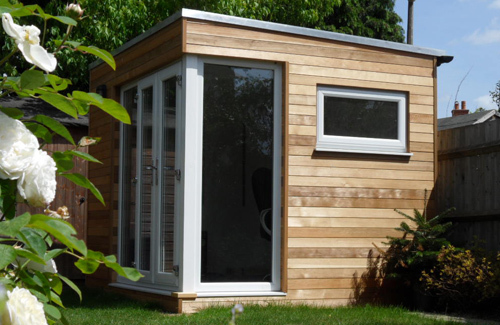 Garden rooms don’t have to be overly large. 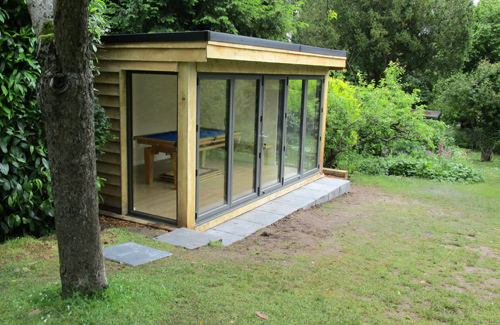 Depending on the space available and the intended use, a smaller structure can be equally beautiful as well as practical. One of the smallest garden buildings we’ve completed was a sauna, squeezed between an exterior wall and outside boundary of a property. 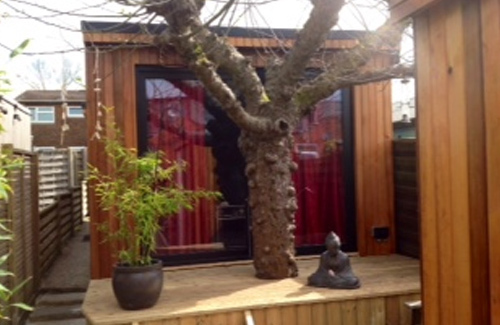 It was a wonderful use for an otherwise disregarded space. 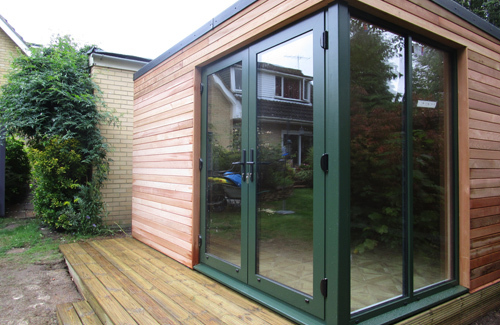 If you want to relax in your garden, but be well protected from the sun a garden room with a small veranda would be an excellent solution. 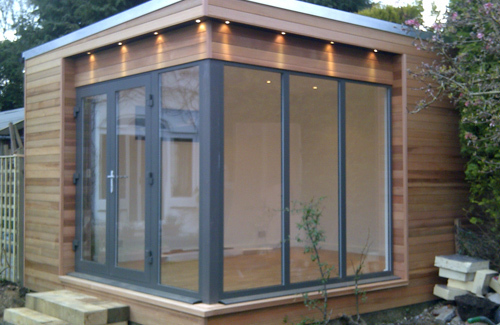 Full floor to ceiling windows make the most of the natural light and give a greater sense of space. Perhaps you work from home and dream of a space, that is both private and well appointed, where you can focus on your work rather than the distractions we often find in other parts of our homes. 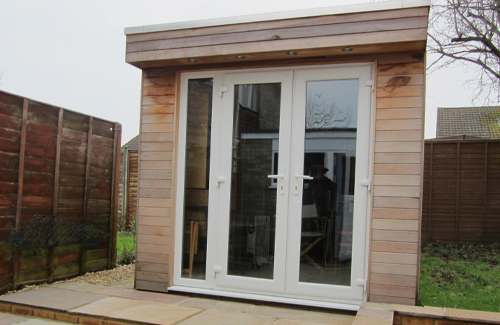 A small garden room can be fitted with heating, running water and electricity. Giving you everything you need for a productive day. If you’re looking for some neat storage, this can be accommodated too. 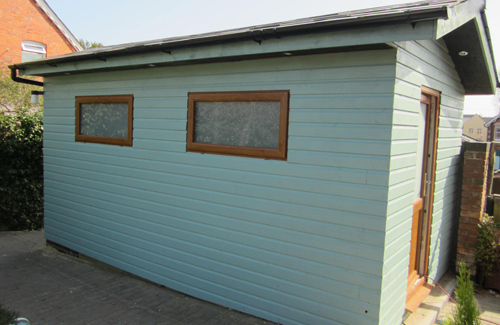 As our buildings are fully weatherproofed and insulated, with optional heating, you have the flexibility to store just about anything, without the fear of damp conditions causing mildew and mould. 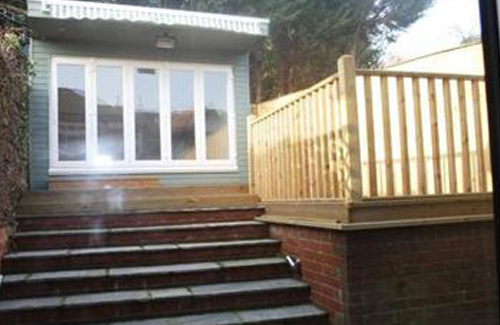 To discuss your garden building needs, no matter how small the space you are working with, call Andrew today. 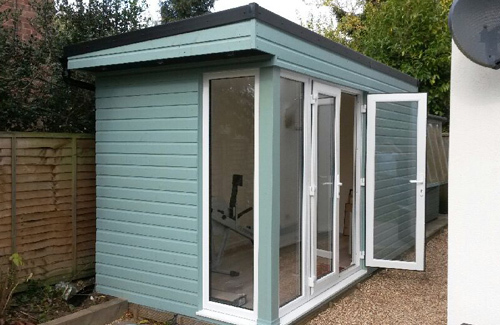 He will help you by designing a bespoke solution, that makes maximum use of the space available. Call now on 01189 842555.